The Hartlepool hotels listed below are either in the town or we have given a rough guide as to how far they are from Hartlepool. We hope you enjoy your stay and find your ideal accommodation. In a waterside location with views of the marina, this Premier Inn hotel is 800 metres (half a mile) from Hartlepool town centre and rail station. Enjoy free parking and family-friendly en suite rooms. Just a mile from Hartlepool's picturesque Marina and Quay, Best Western Grand Hotel offers spacious rooms, free parking and free Wi-Fi. There is also an Italian restaurant and stylish bar. Close to Hartlepool Marina and directly opposite the train station, Hillcarter Hotel has 25 well equipped, comfortable en suite rooms and free Wi-Fi access. Located on the seafront at Seaton Carew, this comfortable hotel is ideally situated within one mile of Hartlepool Town Centre and in close proximity of businesses around the Seal Sands area. 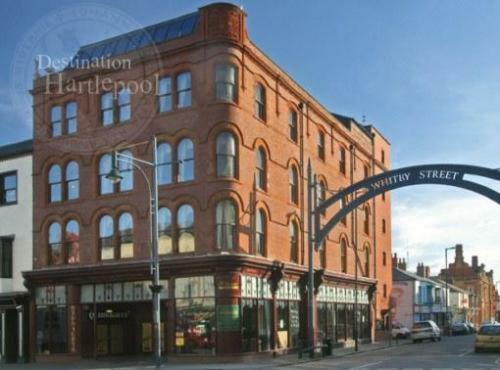 Situated in the centre of Hartlepool, this 4-star guest house offers comfortable accommodation and good facilities, including free high-speed Wi-Fi wireless internet access.